Here is one from a recent show. Murray is finally growing into a really nice dog. That black and white dog looks like one of ours! Murray IS a great looking dog. We just picked up another one a few weeks ago. This is Ruby. 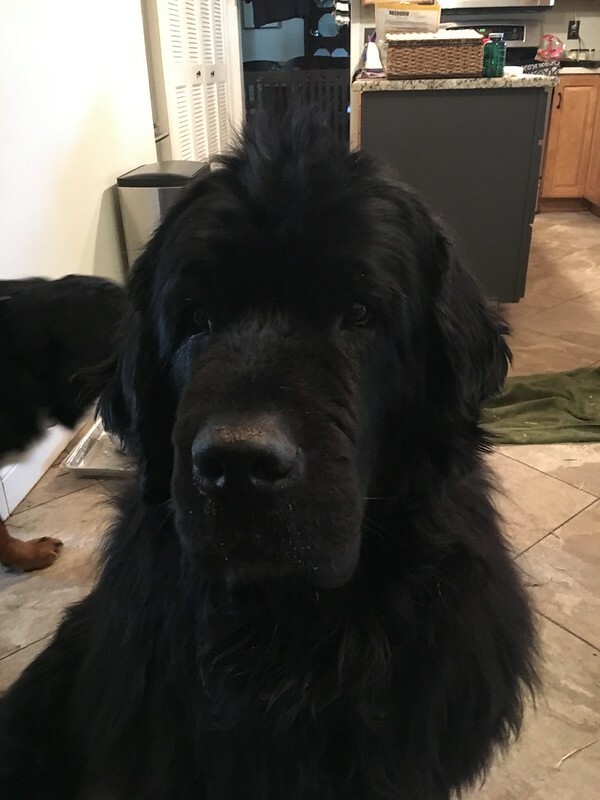 She is an 8 year old Newfoundland. 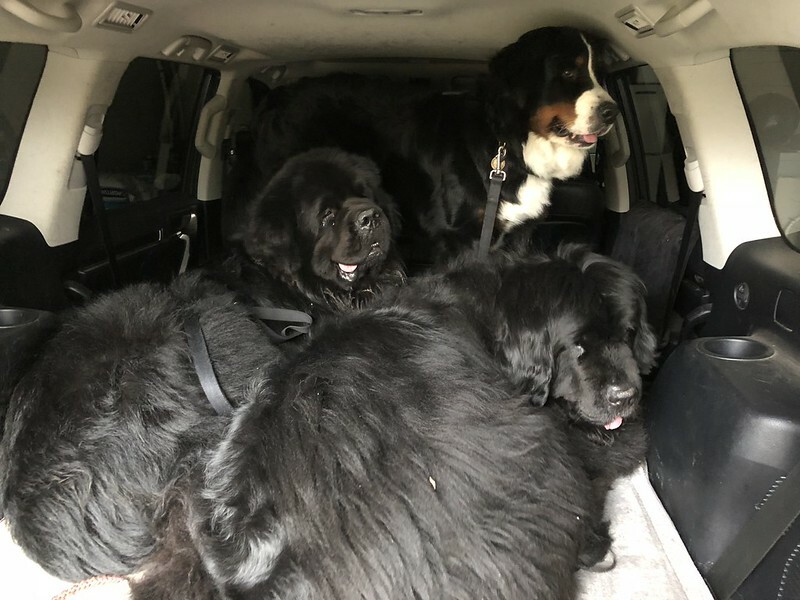 And here is why I need to get a bigger car! Skip on a car, with that bunch you need a good van! They are seriously big pooches. The smallest one we have is over 100 lbs. 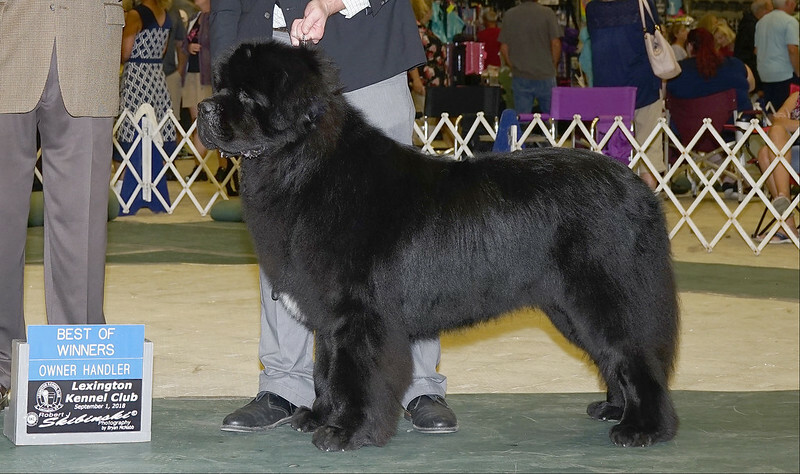 The two Newfs come in at 150 and 147 lbs. Since we added Ruby, our food bill is going through the roof! Damn they are good looking pups !! It's cheaper to feed kids! We spend a small fortune on our five dogs and three cats. I can remember what Stan used to eat, 84 kilos of eating machine. He could put a Wallaby away in two sittings. Stan was a growing boy. Generated in 0.034 seconds in which 0.017 seconds were spent on a total of 13 queries. Zlib compression enabled.